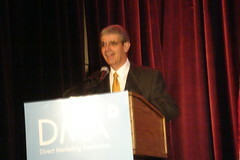 The DM Days 2007 conference kicked off with a keynote presentation starting with DMA President and CEO, John Greco. 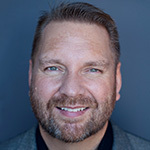 The keynote was titled, “Next Gen Interactive: How Marketers are Optimizing the Power of Social Media to Connect and Deliver Results”. 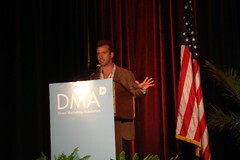 Greco sees direct marketing as more than an industry, as a core process. Rather than “direct marketing” he sees it as “marketing directly”, which is the ability to engage individual customers with relevant and timely interactions that provide the information and offers they want using any of a variety of channels. Internet and email will grow 3 times faster than direct mail, so direct marketers need to be involved with internet based marketing in order to survive. It’s easy to see the growing opportunity with social media, the question is how to take advantage of it and understand how it can work within the marketing mix. The power of web 20 is the opportunity to connect people of similar interests. 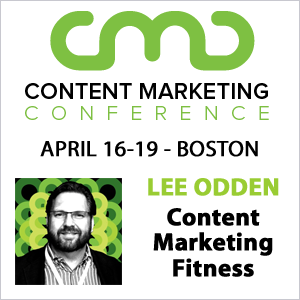 Online marketing data collection from social media may replace traditional lists. I think that comment got the attention of quite a few audience members, because lists are at the core of the direct marketing business. After the opening remarks, Aaron Kahlow of BusinessOnLine is to moderate the keynote panel. Instead, he brings the panelists onto the stage and does a 10-15 minute presentation. There was good info in the presentation, but that’s a long time for a panel to sit onstage waiting to participate. But hey, that’s just my opinion. 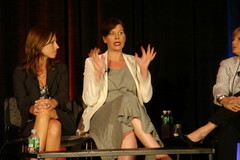 Panelists included: Jennifer Juckett of Vmix, Rebecca Lieb of ClickZ, Leslie Reiser of IBM and Greg Verdino of Crayon. A Wikipedia definition of social media is given and a study by BPT partners is cited indicating that marketers consider on/offline promotion as well as personalization as essential, but also that those marketers have not mapped out the touch points for implementing those tactics. Audience poll: How many are using social media as part of their marketing? About 10% respond yes. Direct marketers are not getting involved with social media because they don’t know how. Why does social media matter? The conversation is happening with or without you. This cliche is new to the DM audience but it’s getting old to many search marketers. There are also measurable reasons why social media matters such as the statistic that cites blog readers as more likely to purchase and the implications for usability and seo. In fact, Internet is more than double an influence on purchasing decisions than other media. According to a Forrester benchmark study that breaks down social media usage, gen y spends more time on the Internet than watching TV. Kahlow says that social media marketing initiatives are not hard to start but can be difficult to maintain. Now we’re onto the panel part of the keynote. Moderator: Is social media real? IBM: 50% of adults online are contributing content and the sweet spot for social media is 20 and below. The conversation is going on, if you don’t participate, you’ll be left out. Vmix: Its changing from one way to a two way communication. ClickZ: Remember this about social media, it’s not direct marketing. However, it is something to learn. It’s a conversation and if you’re not at least listening, you can be at a disadvantage. Crayon: People’s behaviors haven’t changed with the popularity of social media, it’s just that people have found new ways to connect. Direct marketers already have many of the core skills needed for social media marketing. But there are bad habits such as the tendency for one way communication. We can’t just barge our way into communication anymore, there must be a conversation. Moderator: Reinforces the “It’s not anything new.” statement. 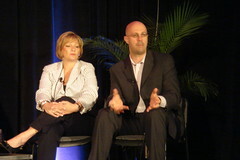 ClickZ: John Greco put it well, it’s not new but it IS a new environment. The tone of communication must be different. ClickZ: One thing that scares direct marketer is the ability or difficulty in measuring the effect of social media. Direct marketers need to figure out a way to do that. Several Panelists mention “engagement and influence as metrics. There was another 15-20 min of Q/A, but I had to leave for our session following the keynote.